The country of the setting sun offers all the seductions of the bewitching East. His gastronomy reveals new flavors every time we sit down to eat. His palaces chérifiens surrounded with luxurious gardens, his souks, the fantasia and its rites. 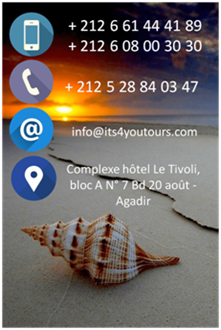 Of It 4 you tours suggests visiting Morocco with a thematic approach. Discover Morocco according to your tastes and center of personal interest.